Your clients will be asked to create a PIN when they access their client tasks, which adds an extra layer of security. The first time your client accesses their client tasks they will be asked to enter a 4-digit PIN. 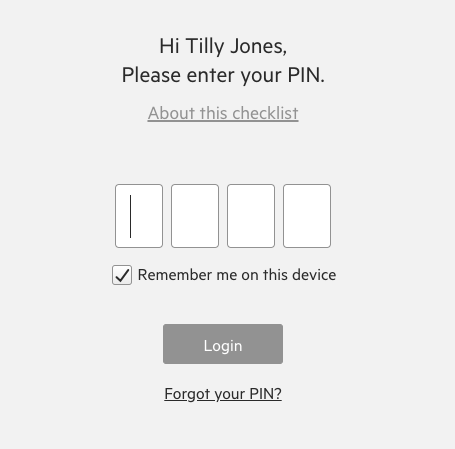 They will require this PIN again if they access their client tasks from another device, such as a smartphone. If they forget their PIN, they can resend the link and reset it themselves. Once the work item is completed, the client will no longer be able to view their tasks.